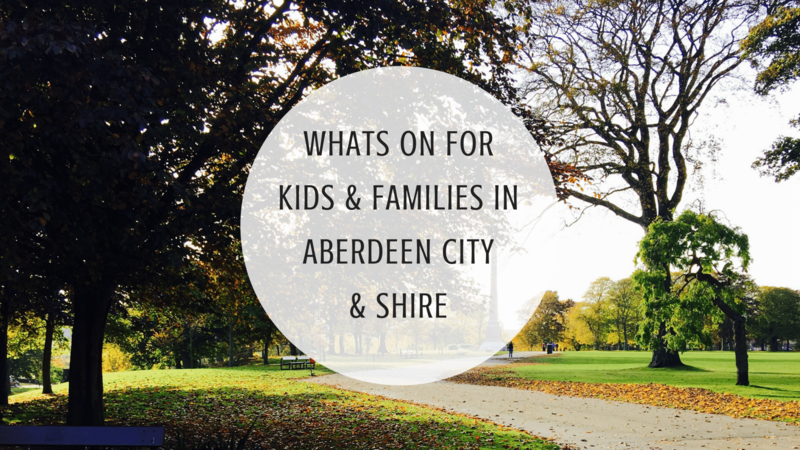 Ferryhill Kids – Friday Fun! Description: Friday Fun is for toddlers to pre-school. It’s a volunteer-led group so please come along, help set up and chat to other parents/carers. Babies are welcome too, just ask for some of the baby toys/equipment. Session is £3 and snack is included for your child (please let the volunteers on the day know of any allergies). This is a drop in group so no need to book in advance or block book. Description: Santa Claus is coming to town! Experience the magic at Den and the Glen in Maryculter. The CLAN Santa’s Grotto is a truly authentic and magical experience not to be missed. The grotto will launch on Friday 16th November! Photography: Treasure the magical memories in the Grotto forever with a professional photograph. The perfect snap can be taken for you with Santa and will be available to view as you leave the wonderland, and ready to purchase as an optional extra. All your Christmas shopping under one roof while supporting your local baby and toddler group. Come and enjoy some delicious mulled wine while browsing our fabulous stalls. Gifts – Cards – Ceramics – Jewellery – Books – Children’s accessories. Our Grand Raffle – Tickets £1 or a book for £5. Ticket Entry £3. Open 19:30-21:30. Stall Holders to be confirmed in due course. Tickets Available through this page, at our group sessions or on the night. Description: Suitable for all children and abilities between the ages of 18 months old to 5 years old. As British Cycling coaches we are experts in teaching children to ride. Developing the riders CONFIDENCE is at the heart of what we do. Whether you’re new to it all, or riding well already, this is the session for you! Description: Get your Christmas shopping off to a great start this weekend whilst supporting a local charity! We are delighted to invite you, your family and friends along to our first Christmas Fayre on Saturday 17 November 2018 from 10am to 2pm in support of Fly Cup Catering Limited – supporting adults with learning disabilities. We will have Christmas music, samples and raffle prizes on top of wide range of stallholders selling gifts, stocking-fillers and much much more. Each of our stallholders have kindly donated a prize towards our fantastic raffle – so make sure you don’t miss out and purchase your tickets. Entry is free and open to all with free car parking. Description: Join us for another busy Christmas Fayre! Lots of wonderful stalls including Melabella Gifts, Frazzle Dazzle, Bath Tub Bliss Junkie, Cat’s Accessories, Stella & Dot, Loveables by Lillian, Angel card readings and so much more! special guest appearance from the jolly man in the red suit! Description: Santa only has one home this Christmas, and that’s Bon Accord! Create lasting memories with a visit to Bon Accord’s winter wonderland and support The ARCHIE Foundation whilst doing so. To secure your slot just select your chosen date and time on our EventBrite page: http://ow.ly/gcgB30m55xj. The slot is for one child, for additional children please add at checkout under additional admissions. Party size is limited to 4 children per pre-booked slot. For larger parties walk-ins are welcome. Description: Come along and help us plant snowdrops, crocus, daffodils and other spring bulbs. Find out about our exciting plans for the park! Former Park Ranger, John Latham, will also lead a short walk. He’ll tell us about the wildlife and history of our beautiful Haughton Park. Everyone is welcome. Children must be accompanied by parents/carers. Please wrap up warm, bring a spade, and come along. It’s free! It’s on Saturday 17th November from 10-12. We’ll meet at the main carpark (by the playpark & toilet block) at 10am. Description: Entry Free- come along and get your Christmas Shopping before the Christmas Lights Switch on and Parade. Description: Author David Macphail will talk from his book “Thorfinn the nicest Viking” then the children will create their very own Viking characters and imagine together an Aberdonian-themed story that will be written by the author and shared with all participants afterwards. Suitable for children P3-P5. Limited places available. Booking essential. Description: A New & Exciting Event in Bucksburn showcasing local businesses. Please RSVP attending to make sure you get the latest news. More information to follow. Pop in for free mince pies and browse our fantastic range of craft and gift stalls! There will be entertainment throughout the day. Please contact fundraising@granitecityrollerderby.co.uk for further information about the event. Description: Culter Playgroups annual Christmas Fair promises to be bigger and better than ever. With FREE entry for everyone there really is no better way to kick start your festive season. Santas little helpers have been busy hiding GOLD coloured stones around Peterculter Village, if you’re lucky enough to find one, bring it along on the day for a special Christmas treat. Description: Save the date: Our community councils festive season gets underway with a real Christmas cracker, our very first Christmas Lights switch on event on Saturday 17th November at The Hub Cafe, Cults Kirk Centre on North Deeside Road. The countdown to Christmas will be launched in style with a jam-packed afternoon of festive fun for the whole family. Festivities take place from 2pm including face painting, mince pie, tea /coffee, games, raffle, mulled wine. 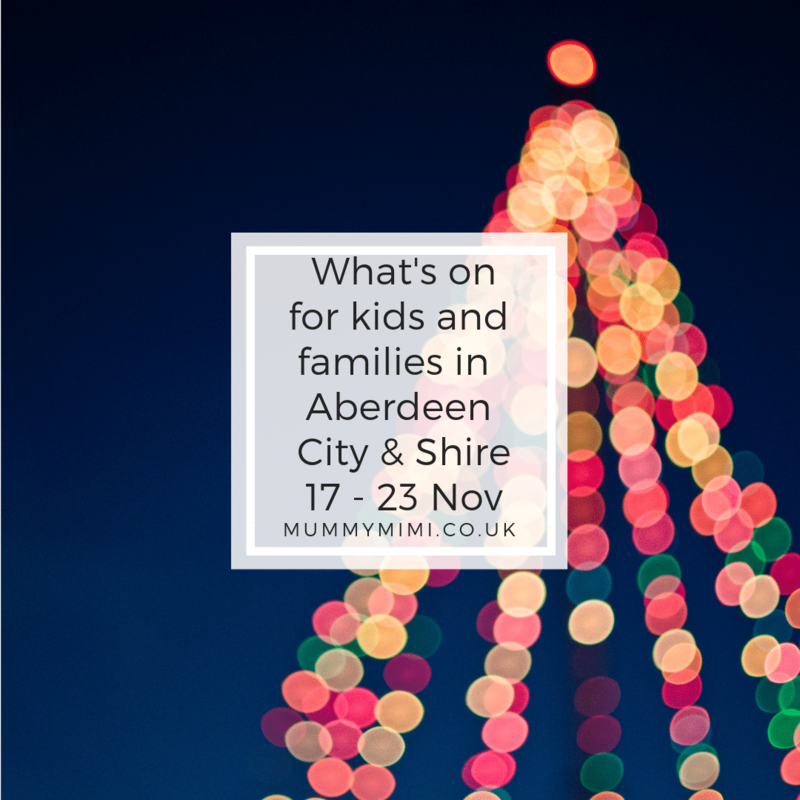 Frozen Fraserburgh are bringing an evening of holiday feel good family films with screenings of Home Alone 2 at 5pm and Miracle on 34th Street at 8pm On Saturday 17th November 2018. All proceeds will go to Frozen Fraserburgh: 2 weekends of Festive Fun in Fraserburgh with late night shopping, fun fair, Santas Parade & Grotto on FRiday 30th Novemer and Saturday 1st December and FREE Ice Rink, FREE Snow Globe, Santa Train and Fun Fair on 7th & 8th December 2018. Visit Frozen Fraserburgh on Facebook for more details. Don’t wait another minute, grab your tickets for our drive in cinema event at the NESCOL car park, Henderson Road, Fraserburgh. Park up, tune in your radio, relax, snuggle up and enjoy the film. Please arrive at least 30 minutes before the film to park and test your sound. Each person in the car must have their own seat belt. Larger vehicles will be parked at the rear of the car park. Please remember to bring your tickets along with you to the event. Description: Home game versus the Coatbridge Redwings. Free admission. Description: We invite you to ask yourself this one simple question: Do you believe in Santa Claus? Description: The American Women Association welcomes you once again to attend our yearly Holiday Craft fair at Hilton Treetops, Aberdeen. You will find local businesses, unique crafters, artisans and vendors under one roof. We will also have our traditional Sweet Shoppe with delicious home bakes, as well as our raffle with great prizes from our crafters. All proceeds will go to support our chosen charity, the ARC Hippotherapy SCIO, a part of the RDA group. Bring the family and friends to enjoy the day for a great cause and taste of the holiday season. 2 sessions 1-2.30pm and 3-4.30pm £5 per child. Pay on the door. snack bar available for hot and cold drinks. Come down and have some fun. Inflatable Fun Day @ Macbi! Description: Once again we will fill macbi hub with fun things for the kids! Macbi has a lovely cafe serving homemade food, Fresh Caber Coffee and home bakes. This event is suitable for children up to 12 years. Entry is £7 for Inflatables or £8 for Inflatables & Macbi Soft play. Unlimited play from 12.30-3.30pm. Description: What kind of fun are we going to have? * Come dressed for our ‘Intergalactic Planetary’ theme! Description: Aberdeen’s awaited Diwali Celebration 2018 tickets are now out! IANES invites you to join us for the festival of lights, festival that brings the India together to be celebrated in Pittodrie Stadium, Aberdeen on 18th November. There are limited tickets so please do act fast. Description: Our Christmas Shopping Day will have stalls held by local crafters – a chance to shop whilst your wee ones have a play. A raffle with proceeds going to the Neonatal Unit(Special Nursery) at Aberdeen. The cafe will be open for Tea, Coffee and Scones. Description: Join us at Battlehill Woods for some fabulous fun in the forest. Explore and discover, then enjoy a campfire cooked snack and a hot chocolate round the fire. Meet at the bottom car park, and please wear warm waterproof clothing. Description: Make your own book advent bundles in time for 1 December! All Home-Start Aberdeen families and their volunteers are warmly invited to get involved with our Big Book Bonanza. Drop in during the day to select and wrap books to make a book advent bundle for your family to enjoy together during December. Do you have books for us? Members of the public are also invited to support this event by dropping in during the day to donate any great quality or ‘as new’ books. Description: In partnership with Aberdeen Inspired and delivered by Codona’s Amusement Park, we are thrilled to bring the Aberdeen Christmas Village back to the city. There will be something for ALL the family including a spectacular ice rink and a wonderful festive fairground. helterskelter and carousel return for the children along with the addition of bumper cars. *kiddies rides close at 8pm. Description: We are delighted to present a new version of the Christmas Market to the people of Aberdeen for 2018. A wide range of locally produced crafts, arts and gifts, along with gourmet food and drink will be available from our open-air festive wooden cabins. With a unique offering each weekend, the market will showcase both new and established brands bringing you a high quality offering for your Christmas shopping. Come along and support some fantastic local businesses from the North East. Description: Christmas Shopping Event with over 20 stalls. Make a dent in your Christmas Shopping and support local businesses. Description: Our twin town of Stavanger in Norway has once again kindly donated a magnificent Christmas tree. A carol service will be held at the Castlegate prior to the switch-on where the Lord Provost of Aberdeen and the Deputy Mayor of Stavanger will light up the beautiful spruce. Musical entertainment will be provided.